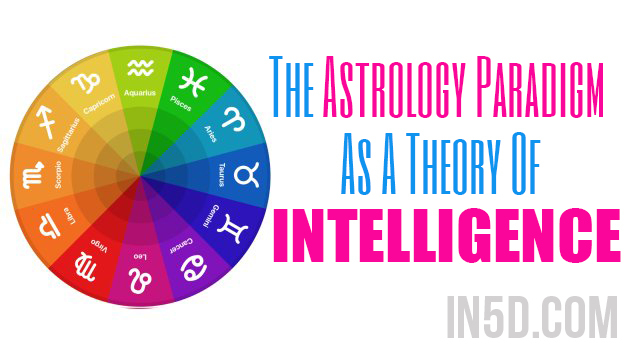 The astrology natal chart is a very powerful way of understanding the nature and dynamics of multiple intelligences. Let us see how it explains very comprehensively the various intelligence models currently being presented by science, education and psychology. Aries is a model of thermodynamic intelligence. It is the level where energy is trying to understand itself, its capabilities and potentialities and its ability to affect its environment. We must understand that the Aries energy pattern represents the lowest stage in the Involution of Energy-Matter-Spirit. Therefore, it is the stage of maximum ego. The energy pattern is totally egocentric and defines its narratives and environmental dynamics through the perspective of the self mostly. This means the lower self, or the ego. On the other side of the coin, this singular focus of the Magician archetype brings with it the singularity of determination that characterizes this soul phase. The avatar of thermodynamic intelligence has maximum access to the energy population set at its disposal. Thus, he is perfect for arenas where can demonstrate this thermodynamic access. In sports, we can clearly see the excellence of the Aries archetype. As well as other areas where the self, meaning the ego, competes in some way. This archetype thrives in competition. Taurus is a model of biological intelligence. It is the level where the energy has learned to encase itself successfully in various case sheaths or vehicles of expression. This particular mode of existence has its advantages. The monad has an additional form of protection against the dangers of material universe existence. However, it may also come to exalt the vehicles of expression themselves and give them operational control of its narrative. This is the greatest danger of encasement. To counteract this existential dilemma, souls who are exploring the pleasures and varieties of the material realm are given a unique “gift.” This is of course, the “Wisdom Quest!” The memory of light. The evolutionary spiral. The graduation process. Much has been written about the soul-body dichotomy throughout the ages. The important thing to remember is that the soul and the body are not enemies, have never been enemies. But both must remember their “existential stations.” The soul is the avatar of levity; the body is the avatar of gravity. And their conversation defines “life” in the material universe. This conversation is, and has always been, a crucial learning paradigm in the maturation of a monad. Gemini is a model of cognitive intelligence. This is the soul phase which is an information processor par excellence. This energy pattern assimilates, absorbs, processes, plays with, regurgitates and expresses all forms of information constructs. The speed of information processing is also a hallmark of this energy pattern. This is the reason why so many Gemini personalities are charming, witty, smart and intelligent. They absorb information at a prodigious rate. But since, most information will be in the translation format of the material universe, the Gemini personality is known to be very practical. He prioritizes those informational schemes that can promote his own egocentricity. Why? Because he has not learned to consider the true needs of his environmental variables. His focus still remains at an egocentric level, a legacy of the previous two phases. To travel is also to assimilate new information, so the Gemini personality loves to travel in many ways and tends to sample and explore new dimensions of experience every now and then. The absence of new information would be tantamount to death for this energy pattern. This energy phase can thus be understood as an avatar of local novelty, the type of novelty that titillates a personality, in contrast to Novelty, which is a civilization-changing parameter. Cancer is a model of gestational intelligence. In this soul phase, the energy pattern learns to incubate all that it knows, to access realms beyond those of the conscious processing level, in order to give birth to something new later on. In the Cancer phase, we learn that growth can also occur in phases of sublimation. The energy of sublimation is a different order of processing. It occurs in dimensions of mystery in contrast to the previous stages where growth is palpable. In order for incubation to truly succeed, all of the necessary materials must be present, and in the right amounts and frequencies, and in the most appropriate contexts and environments. The Four of Swords in the Tarot is a fractal illustration of the power of incubation. It tells us the lesson that all elements must be present in a conglomeration, for self-organization to occur and give rise to new narratives and new energy patterns. Cancer is a stage of death, as well as a stage of growth. Leo is a model of centrifugal intelligence. The energies and potentialities accumulated in the previous stages are transmuted, incubated and are born anew into a new form. This form has a self-organization and singularity potential that is different from the previous stages. Thus, Leo can be said to be the first truly emergent form after the Aries energy pattern. This also imparts to us the realization that the progression from Aries to Cancer is a series of permutations of the original creative inspiration that occurred with the birth of the Aries archetype. In the Leo phase, the soul has enough strength to begin to battle with the propensities of the vehicular expressions. This personality realizes how strong both of the existential modalities are. There are many ways to illustrate this fractal strength. One is to radiate it to its environment, and that is why the Leo archetype is creative, artistic and dramatic. He is well suited to those realms where he can radiate his powers, whether for good or ill. Another point to understand about the Leo phase is that it is the period where the soul is beginning to realize the necessity of attaining a successful. negotiation of the body-soul dichotomy. In the Tarot, this stage is aptly illustrated by the Strength card. But this archetype does not exist in a vacuum. Long before the soul either rises in virtue or regresses to depravity, the seeds are already sown in the insightful archetype of the Lovers. The Lovers archetype sets the stage for the critical decision point when the soul begins to acknowledge the need to “return Home.” The Lovers archetype therefore is a stimulus to the planting season that is represented by the Leo energy pattern. Virgo is a model of isomorphic intelligence. The excellence of the previous stage is taken further and imposed not only on self but on the ability to manage the immediate necessities of life in the material universe. This phase also represents a culmination of the strengths of the previous stages. The thermodynamic intelligence of Aries is refined into a fire that creates rather than destroys. The biological intelligence of Taurus is refined even further into understanding the intricacies of habitats, environments and contexts. The cognitive intelligence of Gemini is refined into a penetrating ability to get into the heart of a concept, issue, modality, or occupation. The gestational intelligence of Cancer is refined into the ability to be consistently creative regardless of the vicissitudes in the life of the person. The centrifugal intelligence of Leo is refined into the ability to perform isomorphically at a high level, regardless of the plenitude or scarcity of environmental inputs and conditions. Isomorphic intelligence is the ability to perform consistently at a high level regardless of environmental conditions. There are certain personalities which can produce and perform only in the presence of the best conditions. The Virgo personality, on the other hand, thrives in almost all conditions. This level of endurance and consistency is the highest among the first six personality types. In addition, this energy pattern is known for its penchant for precision, exactitude and accuracy, which are gifts of its isomorphic intelligence. Libra is a model of symmetrical intelligence. The appreciation of symmetry is at its highest in this energy pattern. Recalling the raw power of Aries thermodynamic intelligence, the Libra energy pattern attempts to balance this by emphasizing the symmetrical operations between two interacting pairs of abstractions, modalities, personalities or collectives. This appreciation flies into the realms of art, music, dance and similar right brain and holistic perspectives. The Libra personality, being appreciative of these themes, frequently applies them in his life. The charm, intelligence, culture and elegance of a Libra archetype, therefore, all proceed from this paradigm. This sign also governs the natural exchange that occurs between actual processes and tangible objects of perceived equivalent value. When one is exchanged for the other, it is assumed that both follow the principle of equivalence, thus giving rise to commerce. All areas where harmony is the paramount principle are governed by this energy pattern. Scorpio is a model of alchemical intelligence. The power of transmutation and transformation reaches its greatest apex in this soul phase. Recalling the biological intelligence of the Taurus energy pattern, the Scorpio phase attempts to expand and deepen this experience by continuous awareness, management and alchemical transformations of its biological as well as non-biological resources. First, it is constantly aware of its biological and non-biological potentialities, both in its own self and in its interactions with its environment. Secondly, being hyper aware of this microcosm of potentiality, it recognizes the possibilities of power plays, tactics and strategies as ways of dynamically interacting with its environmental parameters. The extreme form of this personality therefore engages in power struggles of various kinds as a way to test its own existential fitness and as a vector to acquire and maintain additional resources. Whereas its opposite sign, Taurus, is concerned with biological survival mostly, the Scorpio phase goes beyond that to contemplate biological and non-biological survival. Probing into the mysteries of the universe, the Scorpio personality therefore has a predilection to explore esoteric and occult knowledge to further its survivalist agenda. The Scorpio personality is at once an adept, a warrior, a lover and a progenitor. Sagittarius is a model of synthetic intelligence. This phase culminates the previous cognitive intelligence phase developed by the Gemini personality and takes it to the extreme. In the opposite sign of Gemini, the emphasis is on the assimilation of raw data of various kinds. Gemini can be a sampler of knowledge in this respect. There is an attempt at basic synthesis but it is limited to the appreciation and coordination of raw practical data. In the Sagittarius energy phase, the focus is on the integration, synthesis and evaluation of various kinds of data to give rise to models, hypothesis and theories which can explain these data sets comprehensively. The Sagittarius personality loves to integrate various kinds of data and also loves to theorize about possibilities and applications of those integrations. He is therefore the quintessential theorist, philosopher and mentor. Being extremely versatile, and combined with eloquence, this archetype also is the perfect mentor. Thus, while this personality is growing up, it is imperative that he explores various fields of knowledge to get a feel of each. He will most likely have aptitude in more than one area of knowledge. As he is growing up, he must learn to coordinate this knowledge set into an integrated whole. The Sagittarius personality is a disciple of interdisciplinary thought. When mature, he will synthesize his various learning paradigms into comprehensive theories and models which he can convey to the next generation in whatever format he deems is appropriate. Thus, he frequently is active in writing, lecturing, mentoring and related stuff. This archetypal phase is also a fractal of the Wisdom Quest itself. This is the soul phase where the Seeker begins to be awakened to various esoteric, spiritual and mystical streams of knowledge which give tantalizing hints of the Ocean beyond. Sagittarius is the Seeker personified. Capricorn is a model of managerial intelligence. In this phase, the soul has accumulated many different experiences as he traveled through the various planes of existence, represented by the houses of the zodiac in archetypal form. Concomitant with this voyage is the assimilation and integration into its being of the various gifts obtained in these planes of experience. Capricorn is fortunate to learn from the past. And to imbibe the gifts of experience from previous eras. The courage of Aries. The common sense of Taurus. The sparkling wit of Gemini. The loving care of Cancer. The strength and talents of Leo. The consistency and accuracy of Virgo. The diplomatic flair of Libra. The depth of Scorpio. And the breadth of vision developed by Sagittarius, its previous phase. Capricorn now assembles these various weapons and creates an organizational masterpiece that is rooted in the planes of matter. He tries to elevate the manipulation of matter into an art form. He combines the left-brain power of science and the right-brain power of art to configure sociological frameworks that can withstand the forces of fate and time. He is trying to build a citadel. A citadel that will stand as an everlasting memorial to his determination, practicality, prudence, business acumen, organizational leadership skills and vision. As an administrator, this energy represents the peak of archetypal power management. Because he possesses the ability of Virgo to master detail, Libra’s penchant for symmetry, Scorpio’s singular will to penetrate into the heart of a situation, and the breadth of vision of Sagittarius. What differentiates it from the previous phase is that the Capricorn energy pattern is willing to spend energy and time on to his project building efforts. He knows, like Cancer, that in order for large social ventures to succeed, time itself must be coaxed, romanced and be used as a catalyst. Capricorn shares the gestational power of Cancer, but applies it to extremely large settings and ventures. He is the archetypal civilization builder. Aquarius is a model of holographic intelligence. In this phase, the individual archetypal patterns begin to sense the presence and influence of non-material planes of existence. It begins as a series of stimulating gifts from the realm of serendipity. These gifts may come in random packages. The ability of the soul to sense the presence of serendipity and associated higher realms is proportional to the work he applies in making his mind and whole being a conduit to this creative process. Thus, the Aquarius energy phase is really the stage where the soul is becoming extremely proficient in “listening” to the input of other non-material realms of thought. Aquarius is especially adept in creating a balance between individual creativity and group participation. As an iconoclast, he is sensitive to ultra-advanced modes of thought but he has the common sense not to disturb group social processes just to promote his own individuality. Certainly this balance is prominent in the mature personalities of this sign. Otherwise, the extraordinary ability of Aquarius to sense and receive inspiration from the higher realms may become chaotic. This leads to the tendency of some of the personalities from this archetype to display eccentric behavior. It is either that these types have been denied the individual expression of their uniqueness and creativity or they are unable to express it due to personal stress of some kind. On the positive side, since this energy pattern has high holographic intelligence, the natives of this sign are very tolerant of other individuals, their eccentricities and peculiarities. Pisces is a model of mystical intelligence. As the summation and culmination of the archetypal energies, the Pisces energy pattern can, in theory, access and utilize the gifts, strengths and potentialities of all the astrological family energies. In the same manner, he can express the negative qualities as well. This energy has a great potential for spiritual growth because he is tuned into higher spheres of existence. Whereas Aquarius is a vessel where the higher dimensions can pour their gifts, Pisces actually has experiences where he lives part of his existence in the pleasures of the higher dimensions. This zodiac sign therefore signifies the capacity of the soul to access larger and larger cycles of experience beyond the material universe itself. In practical terms, it is expressed in various ways. One is through the living harmonies of art, music and beauty. Another is through the ability to care for others, especially underprivileged classes of society. Another is the capacity to enjoy service even in habitats of seclusion, like monastic communities and hermitages. The Pisces energy pattern enjoys solitude because it allows the soul respite from the “noise” of the material plane. Finally, this soul phase has extreme predilection to enjoy the music of the spheres and the ethereal beauties of the higher planes of thought. Thus, he is most likely to enjoy a life of seclusion, meditation and loving service to all mankind. This is the archetypal avatar of mysticism.